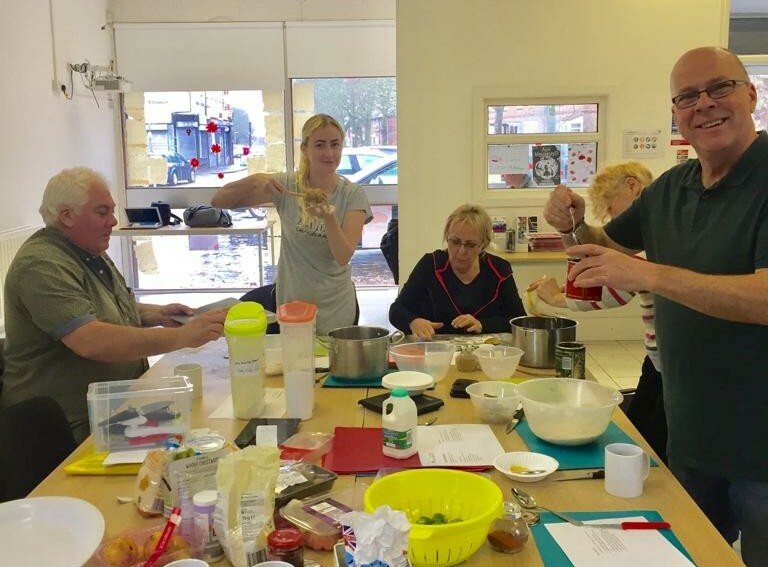 Homecooked CIC has gained some funding from Liverpool Capacity Lab and UnLtd to run some over 50s cookery groups. “With the introduction of social prescribing it is important that there are organisations (both SMEs and larger ones) that can deliver a variety of wellbeing activities. Carol and Kristina who started the initiative are recognisable faces as they worked for the NHS ‘Community Food Workers’ for many years and provide healthy food stands at events around the city. Describing the sessions, Carol said: “Although our course are relaxed and are aimed at building wellbeing and forging friendships we also have a strong belief that food can be healthy as well as tasty. “We alter our sessions to make them suitable for the groups we are working with. “Older people are often cooking for just one or two people. They don’t want to invest in a lot of ingredients if they do not end up using them. Food waste is high on everyone’s agenda! “Some older members of the community have shown interest in our small, portable cookery equipment. Halogen ovens and plug in frying pans and slow cookers being popular. Why heat a large oven when you can save power and cook a meal in one pot? “We evaluate all our work. It has proven to be a great way of meeting others and making friends. “Just over half the people we work with feel more motivated to start making meals/snacks from fresh ingredients. “On a more serious note: there has recently been more evidence to say that lack of fibre, vegetables and fruit in the diet as well has too much salt is having a negative influence on health in this country. Homecooked always introduces a balanced diet. We won’t avoid things like pies and cakes as they are fun to make but we always cut down on fat and salt and encourage plenty of fresh veg and fruit with the meal. The classes will run weekly for five weeks. For more information please contact Homecooked my email info@homecookdcic.org or telephone 07754173520.